Answer: When the Lord Jesus said on the cross “It is finished,” really what was He referring to? Did He mean that the work of redemption was finished, or did He mean that God’s work of fully saving mankind was finished? Could the people of the time really know? It can be said that no one knew. All the Lord Jesus said were the words: “It is finished.” He did not say that God’s work of saving mankind was finished. Humans cannot ever truly understand what the Lord Jesus referred to when He said, “It is finished.” Why would anyone dare to explain the words of the Lord according to his own ideas? Why dare arbitrarily to interpret this phrase “it is finished?” This is none other than randomly putting one’s own human ideas upon the words of the Lord Jesus. Consider this, everyone, if the Lord Jesus saying “It is finished,” indicates that God’s work of saving all mankind is thoroughly complete, then why did the Lord prophesy, saying, “I have yet many things to say to you, but you cannot bear them now. However, when he, the Spirit of truth, is come, he will guide you into all truth: for he shall not speak of himself; but whatever he shall hear, that shall he speak: and he will show you things to come” (Jhn 16:12-13). How do you understand this? Also, as recorded in the Gospel of John, Chapter 12, Verses 47-48, the Lord Jesus said: “And if any man hear my words, and believe not, I judge him not: for I came not to judge the world, but to save the world. He that rejects me, and receives not my words, has one that judges him: the word that I have spoken, the same shall judge him in the last day.” The words of the Lord Jesus tell us clearly that the Lord will return to express truth and to do judgment work. There is also the Bible prophecy: “For the time is come that judgment must begin at the house of God” (1Pe 4:17). According to what the pastor and elder say, if the crucifixion of the Lord Jesus completed all of the work of saving the human race, then how would the prophecy of the Lord Jesus, “However, when he, the Spirit of truth, is come, he will guide you into all truth,” how would these words come true? Wouldn’t the Lord Jesus’ prophecy that He would return to express truth and do judgment work fall through? Therefore, what the pastor and elder say clearly does not tally with the Lord Jesus’ words, and does not tally with the reality of God’s work. We should all know that what the Lord Jesus did was the work of redeeming the human race. All we must do is accept the Lord Jesus, confess and repent before Him, and our sins will be pardoned. Then we are qualified to pray to the Lord, and can enjoy the grace that the Lord bestows. Regardless of the sin, we will no longer be condemned by law. This is the outcome of the Lord Jesus’ work of redemption. This is the true meaning of the phrase “salvation by faith” that we often say. From the outcome achieved by the work of the Lord Jesus we see even greater verification that the Lord Jesus’ work was solely that of redemption. By no means was it the work of judging, purifying, and perfecting people of the last days. Though our belief in the Lord Jesus pardons our sins, and we no longer commit obvious sins, and behave quite well, yet we have not thoroughly separated ourselves from sin and become pure, and been fully saved, have we? Do we still frequently tell lies and commit sins? Do we still act greedily and have wicked thoughts? Do we still envy others, and hate others? Are our hearts full of arrogance and trickery? Do we still mimic worldly trends, cling to wealth, and covet glory? Some people, when caught or persecuted by the Chinese Communist government, even blame God. They even provide written statements in which they deny God, and betray God. Especially concerning the expression of truth and judgment work of Almighty God during the last days, people cast judgment upon and condemn God’s work based on their own notions and fancies. Isn’t this true? In our belief in the Lord, therefore, we gain only pardon of sins. But within us remains Satan’s nature and Satan’s disposition. This is the source of our sinning and resisting God. If our inner sinful nature is not resolved, then we will resist God, betray God, and consider God an enemy. Would you say that such a person is qualified to enter the kingdom of heaven? It should be clear by now that in saying “It is finished,” the Lord Jesus meant only that God’s work of redemption was complete. Most certainly, He was not saying that all of the work of saving the human race was complete. Almighty God incarnate of the last days came to express all truth, and to do the work of judgment starting from God’s house. This coming is to thoroughly make people pure, and to fully save them, to resolve the foundational problem of sin inside people, to allow people to be free from sin and attain purity, to achieve full salvation and enter God’s kingdom. let us read a few more passages of Almighty God’s words, so that all of us can understand more clearly. Almighty God says: “A sinner such as you, who has just been redeemed, and has not been changed, or been perfected by God, can you be after God’s heart? For you, you who are still of your old self, it is true that you were saved by Jesus, and that you are not counted as a sinner because of the salvation of God, but this does not prove that you are not sinful, and are not impure. How can you be saintly if you have not been changed? Within, you are beset by impurity, selfish and mean, yet you still wish to descend with Jesus—you should be so lucky! You have missed a step in your belief in God: You have merely been redeemed, but have not been changed. For you to be after God’s heart, God must personally do the work of changing and cleansing you; if you are only redeemed, you will be incapable of attaining sanctity. In this way you will be unqualified to share in the good blessings of God, for you have missed out a step in God’s work of managing man, which is the key step of changing and perfecting. And so you, a sinner who has just been redeemed, are incapable of directly inheriting God’s inheritance” (“Concerning Appellations and Identity” in The Word Appears in the Flesh). “You must know what kind of people I desire; those who are impure are not permitted to enter into the kingdom, those who are impure are not permitted to besmirch the holy ground. Though you may have done much work, and have worked for many years, in the end if you are still deplorably filthy— it is intolerable to the law of Heaven that you wish to enter My kingdom! From the foundation of the world until today, never have I offered easy access to My kingdom to those who curry favor with Me. This is a heavenly rule, and no one can break it!” (“Success or Failure Depends on the Path That Man Walks” in The Word Appears in the Flesh). “Before man was redeemed, many of Satan’s poisons had already been planted within him and, after thousands of years of being corrupted by Satan, he has within him an established nature that resists God. Therefore, when man has been redeemed, it is nothing more than a case of redemption in which man is bought at a high price, but the poisonous nature within him has not been eliminated. Man that is so defiled must undergo a change before becoming worthy to serve God. By means of this work of judgment and chastisement, man will fully come to know the filthy and corrupt substance within his own self, and he will be able to change completely and become clean. Only in this way can man become worthy to return before the throne of God. All the work done this day is so that man can be made clean and be changed; through judgment and chastisement by the word, as well as through refinement, man can purge away his corruption and be made pure. Rather than deeming this stage of work to be that of salvation, it would be more apt to say it is the work of purification.” (“The Mystery of the Incarnation (4)” in The Word Appears in the Flesh). 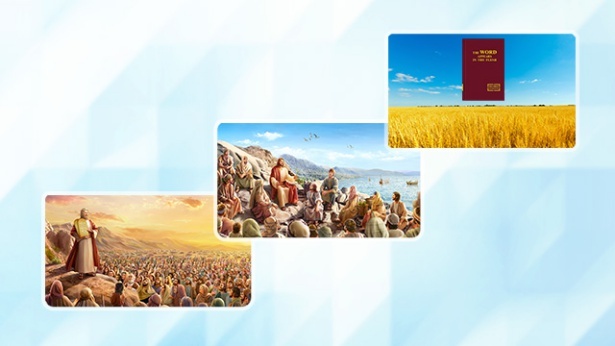 Almighty God speaks very clearly about the significance and outcome achieved of God’s judgment work during the last days. This allows us to be certain that God’s judgment work during the last days is the work that thoroughly purifies and saves the human race. The redemption work that the Lord Jesus did paves the way for God’s judgment work of the last days. Almighty God does the work of judgment and purification upon the foundation of the Lord Jesus’ redemption work, thoroughly saving the human race from sin and bringing them into God’s kingdom. Isn’t God working in this way very practical? 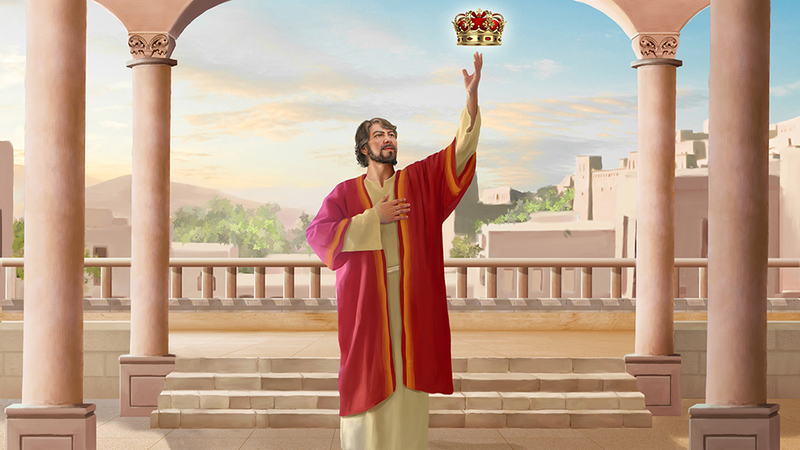 If we accept only the redemption work of the Lord Jesus, and don’t accept God’s judgment and purification work of the last days, how could we be qualified to enter God’s kingdom? It appears that belief in God requires us to understand the work of God. This is ever so important! Yet many religious people hold the belief of salvation through faith alone. They believe that belief in the Lord brings pardon of sins, solving all problems, believing the merciful and loving Lord pardons any sin a person could commit. He will lift them all into the kingdom of heaven when He comes. They therefore refuse to accept the last days’ judgment work of Almighty God. What problem is this? Does this kind of person understand God’s work? Do they understand God’s righteous disposition? Would you say that God could permit a satanic category of person who rebels against Him and resists Him to enter into His kingdom? Right! He would not! What result would the entry of this kind of person into God’s kingdom bring about? Let us consider an example. 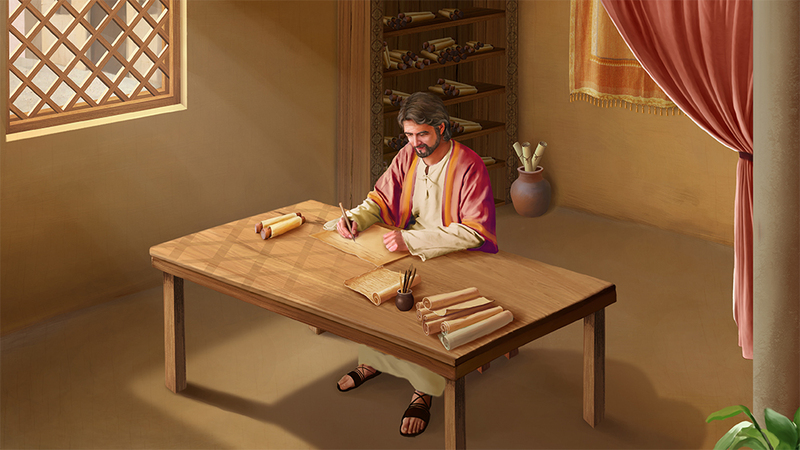 If the Israelites who believed in Jehovah God were brought into the kingdom of God, what do you think would happen? They could not even accept God incarnate, the Lord Jesus, and they also did their utmost to condemn the Lord Jesus, and nailed the Lord Jesus to the cross. This satanic category that insanely resists God in this way, if they were to enter into the kingdom of God, would they continue to resist God? Would they revolt? Would they attempt to usurp the Lord’s power? 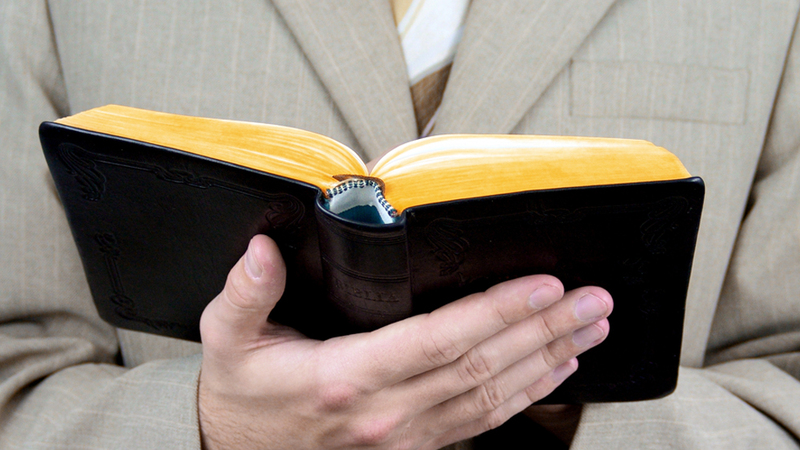 Why did the Lord Jesus not go into the synagogue to preach? It is because the chief priests, scribes, and Pharisees of the Jewish faith were so evil. They were capable of anything. We all know that after the Lord Jesus was caught by them, He was beaten, taunted, and spat upon. He was even turned over to the Roman government to be crucified. The Lord Jesus already knew that they were the ilk of serpent so He did not go into the synagogue to preach. In the last days the Lord Jesus has returned. Why does He not go into the churches to preach? It is because the leaders in the churches are all so fiendish. Were the incarnate Almighty God to go into the churches, they would surely call the police. They would surely hand Almighty God over to the CCP government. Is this not the truth? Now do we dare to go into the churches to openly bear witness for Almighty God? If you bore witness for Almighty God to them, they would certainly besiege you and dishonor you, and even turn you over to Public Security Bureau. For these reasons, the church of today is the same as the synagogues of the Jewish religion were. They are all places that drive away God, resist God, and condemn God. Is this the way it is? This goes to show the extent to which the human race is corrupt. They are fed up with truth, and abhor truth. They all reject the arrival of God, and they all have become Satan’s kind and oppose God. If God had not been incarnated during the last days to express truth, to judge people, and purify people, the human race would have been destroyed by God because they resisted God. Previous：Question 2: You have witnessed the Lord Jesus has returned to express the truth and do judgment work in the last days. Why didn't I see it? I just believe that the Lord will return on the clouds; I just believe that when the Lord returns, all those who believe in Him will be instantly changed and be lifted in the air to meet with the Lord. Just as Paul said, “For our conversation is in heaven; from where also we look for the Savior, the Lord Jesus Christ: Who shall change our vile body, that it may be fashioned like to his glorious body, according to the working whereby he is able even to subdue all things to himself” (Phl 3:20-21). And you say the Lord's return is to become flesh, appear as the Son of man and express the truth to do judgment work in the last days. I think it's impossible! Since God is omnipotent, a single word of God created the heavens and earth and all things, and let the dead rise again. God can turn us into holiness with one word. Why does God have to become flesh to express the truth to do the work of judging and cleansing man? Next：Question 4: We’ve read Almighty God's words and have seen that there are some things that are very harsh. They are judgment of mankind, and condemnation and curse. I think that if God judges and curses people, won’t they be condemned and punished? How can it be said that this kind of judgment is to purify and save mankind?